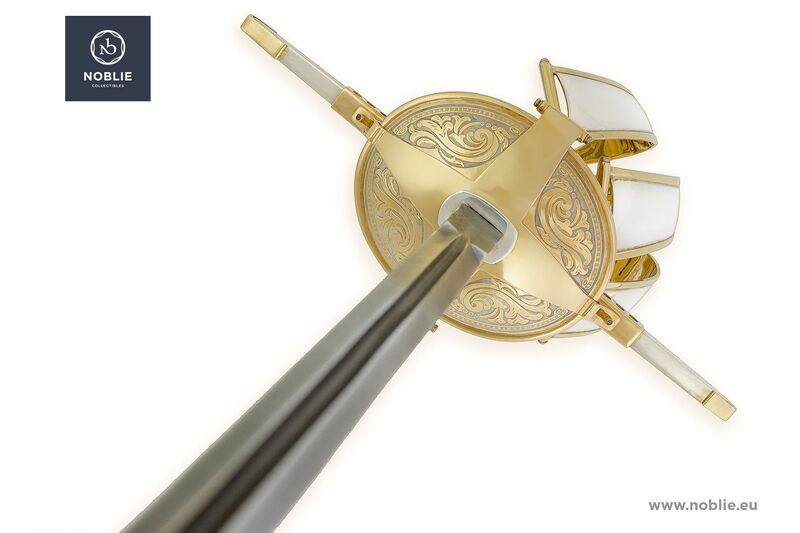 Court sword “Sailing ship” introduced in traditional shape of this kind of noble weapon. Blade of Damascus steel, both sides sharpened. 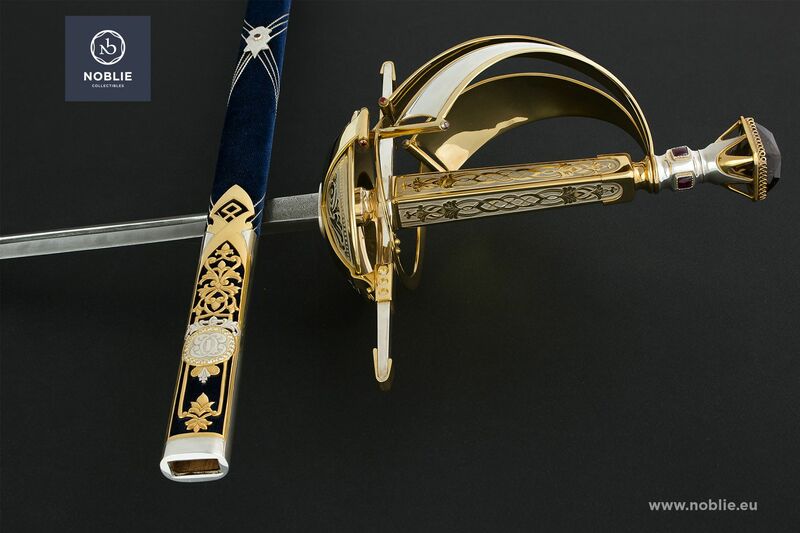 The hilt is very complex artistic element that represents exquisitely crafted battle ship. The guard and the quillons form the board, the grip is the mast and the loop guards are sails shaped. 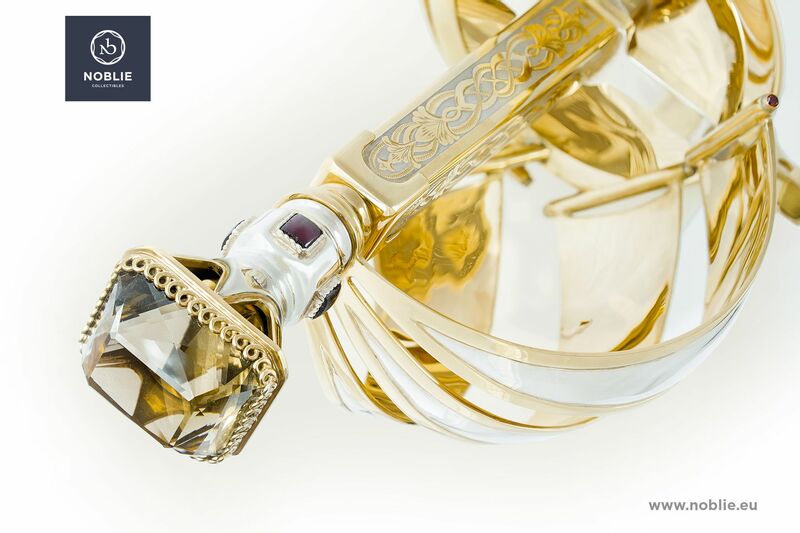 The pommel ends with built in smoky quartz. The whole composition is rich adorned with ornaments and it is inlaid with gems. 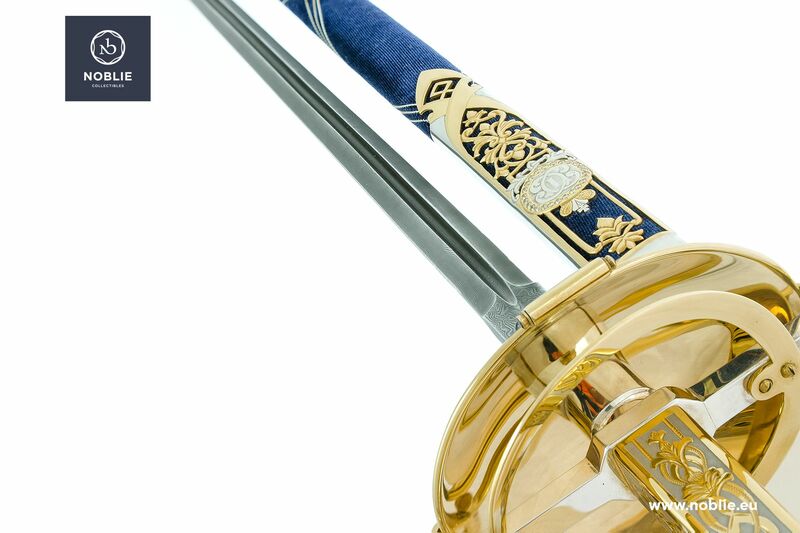 The sheath is luxury made, all-metal forged, made of brass and covered with blue velvet. A monogram depicted on the locket and decorative chapel.Inlaid gems and ornamental adornment. 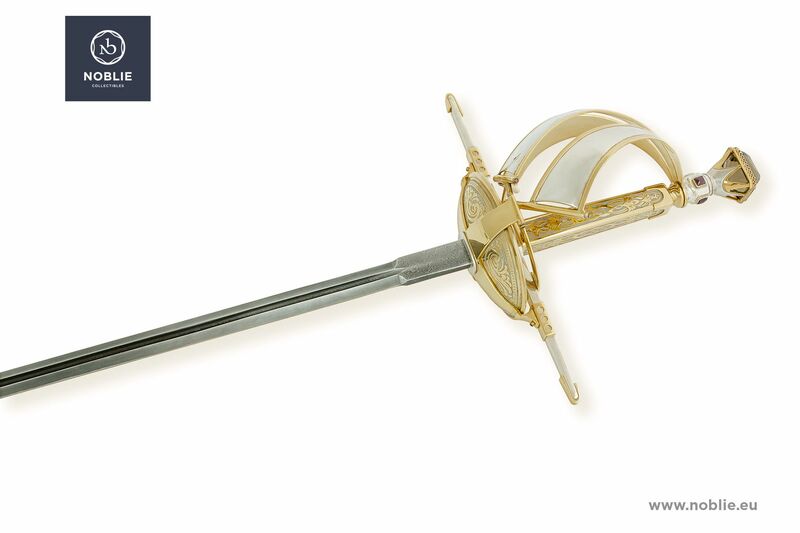 Decorated by: etching, polishing, engraving, nickel plating, gold plating, silver plating and silver blackening.